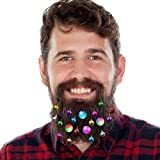 If you feel there just aren't enough Christmas decorations to satisfy your festive need and you happen to have a beard, then I suggest accessorizing it with this collection of cool new Beard Light Ornaments. 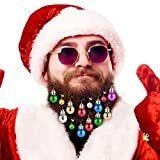 Yep, now you can decorate and illuminate your beard for the holidays with these tiny ornaments that illuminate in six different colors. 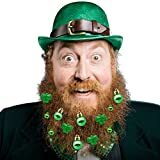 The LEDs can be set to slowly fade in and out, blink on and off, stay solid, or be turned off and include ultra mini pins for attaching to your facial hair (mini clip version available too). 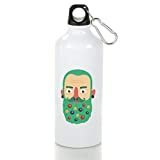 A fun and stylish way to celebrate with your beard at Christmas parties, while out shopping, wandering around at the office, caroling, shoveling snow, or while flying all around the world delivering presents on Christmas Eve. 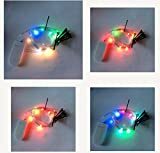 Set on ultra mini pins for maximum concealment and comfort.